Despite the flippant wit of these epitaphs, Lester Moore was a real person killed in a brawl and George Johnson was wrongly accused and hanged for horse stealing in Tombstone, a silver boomtown in the Arizona Territory that came to epitomize the Wild West. The 1881 gunfight at the O.K. Corral put the town on the map when the Earp brothers and “Doc” Holliday faced off with five of the Cochise County Cowboys, a gang of rustler-outlaws. In the 30-second fight, three Cowboys were killed and, of the lawmen, only Wyatt Earp came away unscathed. In almost real time, yellow journalism and dime novels celebrated the fearless men who tamed the lawless town. And, as if America needed heroes to sanction its manifest destiny, or to assuage its conscience, the legend blossomed. Throughout the 20th Century countless books, movies and television shows recycled the incident, inflating the characters to mythic proportions. By the 1950s, you would think the gunfight at the O.K. Corral was as played out as the mines around Tombstone. (The silver long gone, Tombstone nearly became a ghost town, only surviving as a tourist trap playing up its mythic past and marketing itself as “the town too tough to die.”) But a great novelist can always find new material in the timeworn. In capable hands, myth and cliché become fertile ground for reassessment, and in 1958 Oakley Hall did just that, writing the extraordinary novel Warlock. Hall, a graduate of the Iowa Writers’ Workshop, taught creative writing at the University of California-Irvine for many years. With Warlock, which was nominated for a Pulitzer Prize, he became something of a cult figure for a younger generation of writers who admired the craftsmanship and epic proportions of this myth-busting novel. “One of our best American novels,” Thomas Pynchon claimed in a 1965 Holiday magazine article about his favorite neglected work of fiction. Fortunately, New York Review Books agreed with him and republished Warlock in 2006 with an introduction by another devotee, Robert Stone. As a historical novel, Warlock does everything right. First, Hall made the smart decision to rename the town and the people involved. (Tombstone becomes Warlock, named after a local mine.) As Hall explained in his preface: “By combining what did happen with what might have happened, I have tried to show what should have happened.” In other words, he liberated the story from the exigencies of the historical record to probe the myth for its deeper, more resonant truths. Canning was a good man, a decent man, an understandably prudent man, but an honorable one. He coped with our daily and nightly problems, with brawling, drunken miners, and with Cowboys who have an especial craving to ride a horse into a saloon, a Cyprian’s cubicle, or the billiard parlor, and shoot the chimneys out of the chandeliers. That adroit use of “a Cyprian’s cubicle” as a euphemism for a prostitute’s room tells you all you need to know about the man writing this journal, and Hall’s choice of “chimneys” is a pitch-perfect detail that not only evokes the time period but assures you that you are in the hands of a master storyteller. As befits its legendary subject, Warlock is an epic that uses multiple points of view to build perspective and tension. With the exception of Goodpasture’s journal entries, which serve as an intermittent Greek chorus, the book is written in the third person. The only main character whose point of view is not used is the Wyatt Earp-like marshal, Clay Blaisedell. By circling around the man, Hall pokes at the legend. Showing the gunfighter through the eyes of the town deputy, John Gannon, who is the real hero of this book, or the gambling saloon keeper Tom Morgan (the facsimile of “Doc” Holliday), or the Cowboy Curley Burne, or Kate Dollar, the woman who would like to see Blaisedell dead, Hall elevates the story to social criticism. And the moral questions he raises–about vigilantism and the imposition of law and order and its concomitant restriction of freedom–are as relevant today as they were in the mythic territory of Warlock. In the stark desert sunlight Hall distills the dilemmas of might versus right, of justice and the hypocrisy used to justify its abuse. Hall’s focus is on the entire social milieu, not simply the famous incident in the corral, which occurs in the first third of the book. He is more interested in the consequences on citizens and gunmen alike. A miners’ dispute with mine owners over safety and wages plays as much a role in this novel as Cowboys and gunfights. 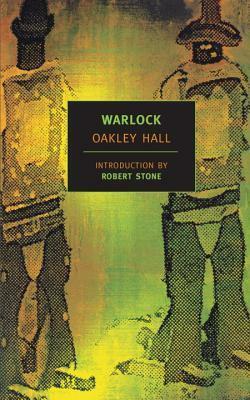 The tenuous reach of the territorial government and the deployment of the military to quell the spiraling violence in Warlock come under Hall’s lens as much as the individual showdowns at high noon. Oakley Hall’s novel is a thoughtful and thought-provoking western that has much in common with Walter Van-Tilburg Clark’s The Ox-Bow Incident, Thomas Berger’s Little Big Man, and Cormac McCarthy’s Blood Meridian. Like them, Warlock is a clear, finely crafted reassessment of how the West was won. About thirty years ago I read an essay that was so good I pinched the book it was in from my sister. In truth, the book, an anthology of expository writing called the Norton Reader, had been assigned in one of her college courses and when the class was over she abandoned it at home. So I was really only rescuing it from neglect. 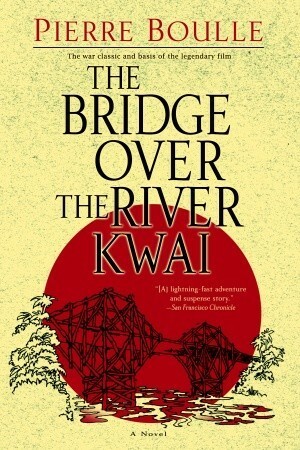 The essay was “‘The Bridge over the River Kwai’ as Myth” by Ian Watt and was reprinted from a 1971 issue of the Berkshire Review. I knew nothing about the author except what the endnotes stated—that he was a professor of English at Stanford University and author of The Rise of the Novel. 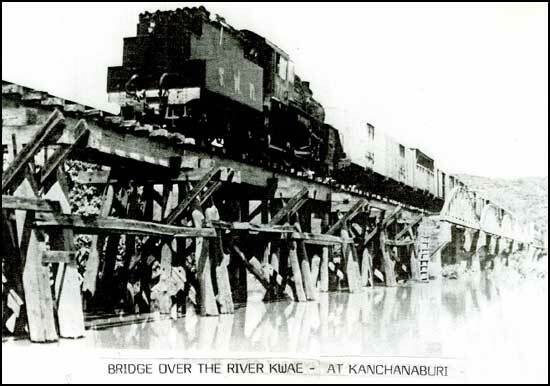 But his unique perspective and analysis impressed me, for as a young British lieutenant he was one of the prisoners of war who worked on the two-hundred-mile stretch of railroad across Thailand and the real bridges over the Kwai (yes, there were actually two). Watt’s experience enabled him to explain the origins and evolution of the River Kwai “myth.” He begins with a synopsis of the surrender to Japan of more than a hundred thousand British soldiers in Malaya and Singapore in 1942. He describes the Japanese Army’s organizational structure and attitudes toward prisoners, life in the prison camp and on work details, and how the senior British officer, Colonel Philip Toosey, saved lives by organizing the prisoners and by “handling” their Japanese captors, at least as well as a captive officer could in such harsh and demoralizing conditions. Watt then traces how a Free French officer named Pierre Boulle, who served in Indochina during the war, heard of the British colonel and the building of the bridges. 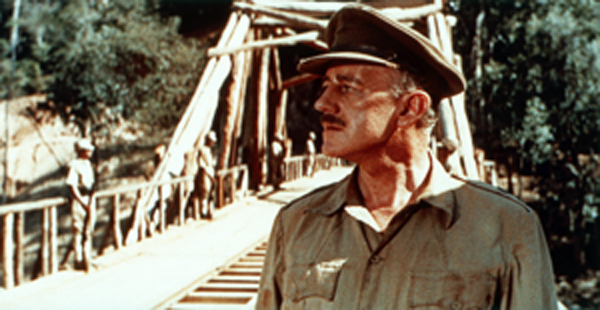 Boulle subsequently wrote The Bridge over the River Kwai, which was published in 1954. Boulle’s fictional Colonel Nicholson is an infantile egomaniac obsessed with the means of the work and, as a result, he becomes an unwitting collaborator. According to Watt, he is much more a representation of French officers who called Boulle a traitor when they switched their allegiance to Vichy France than he is of the real Colonel Toosey. In David Lean’s 1957 Oscar-winning movie The Bridge on the River Kwai, which achieved great popular success and critical acclaim, the myth expands further and moves still farther from reality. The bridge becomes an engineering marvel, a cantilevered wooden fantasy instead of the real iron-truss bridge built beside a temporary wooden bridge. And, most significantly, it is blown up at the end. For Watt, the further preposterousness of the myth-making is the fact that tourists in Thailand go to see the real steel bridge and nearby cemeteries of the prisoners who died building it to feed a fantasy perpetrated by the movie. Alec Guinness as Colonel Nicholson in the 1957 movie. For Watt, the myth of the Kwai denies the reality Colonel Toosey represented, those two Conradian moral imperatives: work and restraint in the face of coercive circumstance. Note to the reader: The good news is that Ian Watt’s thought-provoking essay is still available, and you don’t have to find a forty-year-old edition of the Norton Reader to read it. It turns out that, until his death in 1999, Watt was one of the leading scholars on the English novel and, in particular, Joseph Conrad. In 2000, Cambridge University Press published his Essays on Conrad (which I will review another time); thankfully the publisher included this remarkable essay as the coda of that collection.